Alex Sayz: Logic Studio 9 is out! Logic Studio 9 is out! 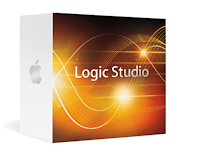 Since both Steinberg and Digidesign recently released their new versions of Cubase and ProTools, it was matter of time before Apple would launch logic 9. As I've been writing in earlier posts Im a huge Apple fan so I had big expectation for this update. On Apple's website they say that there are over 200 new features. But they only present like 10 of them. What I expected from this update was a plug-in for pitch correction like Melodyne or Auto-Tune, some new software synths and FX and support for the new Macbook Pro's dual graphic card. I haven't found any information of those features. That makes me a little bit sad. The new features that I think is cool thou is a Flex Tool, a new way of rendering music (bounce) and the possibility to quantize audio files (like midi). i'll be back with a review after i put my hands on the all new logic 9.